This tutorial would provide step-by-step guidelines how to correctly configure manual connection on iOS device (iPhone/iPad) using IKEv2 protocol. 4. Now it is necesarry to determine which server to connect to. 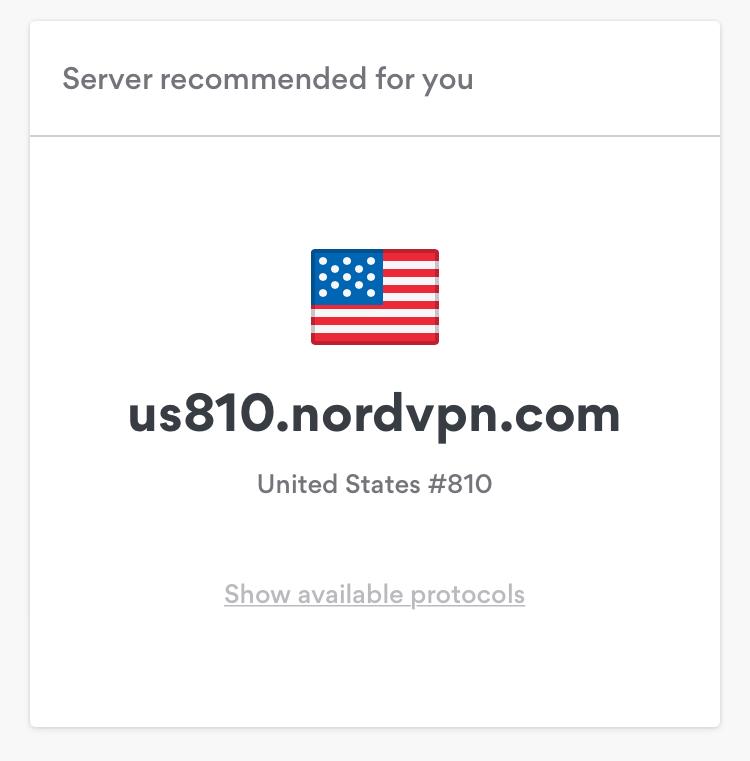 Go to https://nordvpn.com/servers/tools/ - this tool will pick a recommended server. In our case, it displayed US #810 server, which hostname is us810.nordvpn.com. We will use this server as a reference on the further steps. 5. Go to the Settings menu of the device and select VPN tab. 8. The VPN configuration will appear in the VPN menu. Tap the Status Slider under VPN CONFIGURATIONS to connect. Once the slider turns green, you will be successfully connected to NordVPN server using manual IKEv2 connection method.